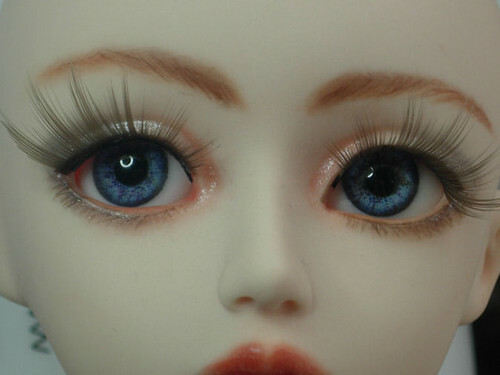 This entry was posted on May 23, 2008 at 4:43 pm and is filed under 60cm BJD's, ball-jointed dolls, Dolls, Lati, Latidoll, obitsu, repaint, Soom, Super Dollfie. You can subscribe via RSS 2.0 feed to this post's comments. I honestly think that you do a BETTER job than the one you mentioned. WOW! Those eyes are really amazing!! I’m trying to decide on my first doll – Hugoo vs Obistu and I have NO idea how to do the painting. Hopefully if I take the plunge I won’t wreck the poor little face! Again, LOVE your faceups!!! Maybe you could charge for this?